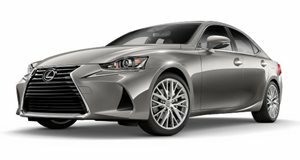 Lexus is getting even more serious with their IS-F sport sedan in their relentless pursuit of BMW's and Mercedes-Benz's performance divisions. Lexus isn&apos;t holding back these days as they continue their makeover. Instead of being known as Toyotas with leather seats and upgraded audio systems, the Japanese brand wants to up their game to compete with the likes of BMW&apos;s M Performance Division and Mercedes&apos;s AMG. And now Lexus has unveiled a new package for their IS-F, called the Circuit Club Sport Package. The package was originally revealed in concept form at last year&apos;s Tokyo Motor Show. This aerodynamic and mechanical upgrade features a new front spoiler, rear diffuser and hood - all of which are made of carbon fiber. A large rear wing has also been added to improve downforce. In addition, the new package includes either lightweight forged aluminum wheels or a set of magnesium wheels. How will it drive? Toyota Racing Development added a performance damper kit which offers two different settings that independently adjust the compression along with a new limited-slip differential and braking kit. Nothing has been changed to the IS-F&apos;s 5.0-liter V8 with 416hp that&apos;s mated to an eight-speed automatic. Although no exact performance numbers were announced yet, the standard IS-F can go from 0 to 60mph in 4.6 seconds and has a top speed of 170mph. No official pricing or time of availability has been released, but hopefully Lexus is smart enough to offer it to both U.S. and European customers instead of making it a domestic market only package.